Wi-Fi, short for “wireless fidelity,” is a term for certain types of wireless local area network (WLAN) that use specifications in the 802.11 family. In general, the wireless technologies are used for the replacement or the expansion of the common wired networks. They possess all the functionality of wired LANs but without the physical constraints of the wire itself. The wireless nature inherently allows easy implementation of broadcast/multicast services. When used with portable computing devices (e.g., notebook computers), wireless LANs are also known as cordless LANs because this term emphasizes the elimination of both power cord and network cable (Tanenbaum, 2003). 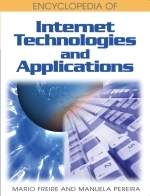 IEEE 802: Standards for the interconnection of LAN computer equipment. They deal with the Data Link Layers of the ISO Reference Model for OSI. WPA: WiFi protected access (WPA) is a fairly new standard for wireless networks and is more secure than WEP. Wi-Fi: Abbreviation of wireless fidelity, standard technology for wireless access to local networks. LAN: A local area network (LAN) is a computer network covering a small local area, like a home, office, or small group of buildings such as a home, office, or college. WEP: Wired-equivalent privacy (WEP) protocol was specified in the IEEE 802.11 standard and attempts to provide a wireless LAN (WLAN) with a minimal level of security and privacy comparable to a typical wired LAN. WEP encrypts data transmitted over the WLAN to protect the vulnerable wireless connection between users (clients) and access points (APs). IEEE 802.11: 802.11 refers to a family of specifications developed by the IEEE for wireless LAN technology. 802.11 specifies an over-the-air interface between a wireless client and a base station or between two wireless clients. WiMAX: The Worldwide Interoperability for Microwave Access (WiMAX) is a certification mark for products that pass conformity and interoperability tests for the IEEE 802.16 standards. IEEE 802.16 is working group number 16 of IEEE 802, specialising in point-to-multipoint broadband wireless access. Ultra Wideband (UWB): Ultra wideband (UWB) systems transmit signals across a much wider frequency than conventional systems and are usually very difficult to detect.